Hello there. Here’s a little bit of a different post for you today. 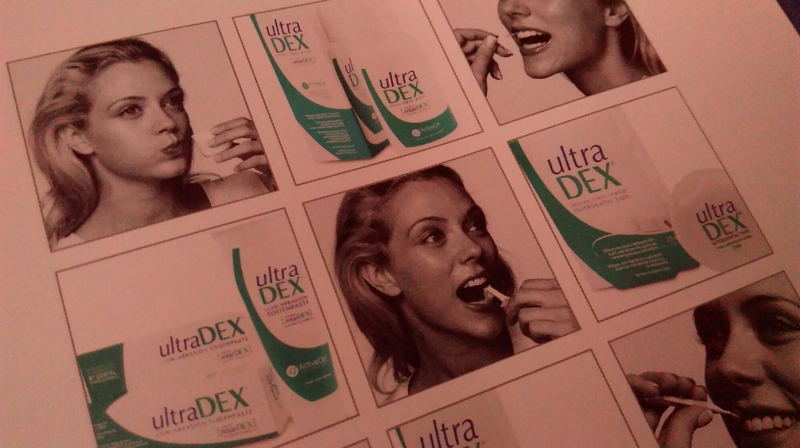 I was recently sent an Ultradex oral spray to review, and as I’m into health-related products I thought this would be great to have up on my blog. I’m a huge fan of chewing gum and will often chew it about twice a day. I’m very picky when it comes to oral hygiene: I cannot bear to go without brushing my teeth at least twice a day, even if I’m so ill I can’t move! I like having minty-fresh breath as – let’s face it – it’s just more pleasant for everyone. 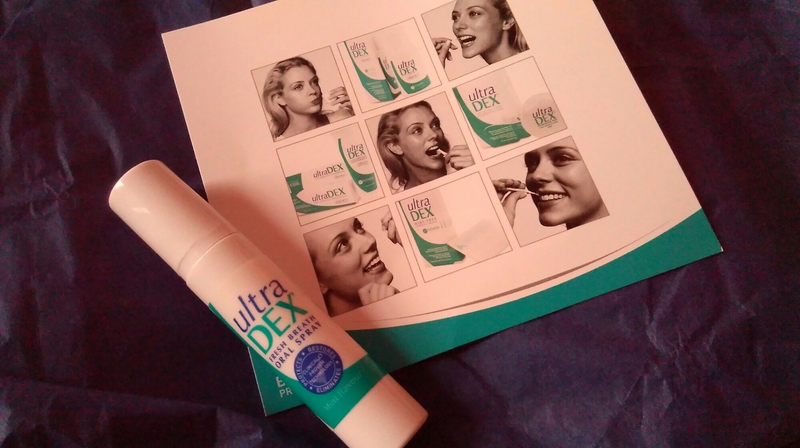 The Ultradex mouth spray I received comes in a handy 9ml spray bottle which is perfect for throwing in a handbag or pocket when on the move. The product is developed by dental professionals and claims to ‘instantly eliminate odour-causing compounds, fight plaque and gum problems and be anti bacterial’. This is ideal to replace products such a chewing gum, and is much better for your dental health. I have been using this spray when I feel my mouth could do with a freshen up, and I have to say I’m really impressed. Chewing gum – though enjoyable – can often lose it’s taste soon after chewing, and once disposed of the minty-freshness radically dissipates. Ultradex’s oral spray doesn’t do this; the quick burst of mint is enough to keep your breath smelling fresh for hours. It doesn’t just mask odours, but actively eliminates them, making the product ideal for use before interviews and meetings to ensure fresh breath confidence. It is also free from alcohol, but powerful enough so that one spray is all that’s needed to leave you feeling refreshed and ready to take on the day. 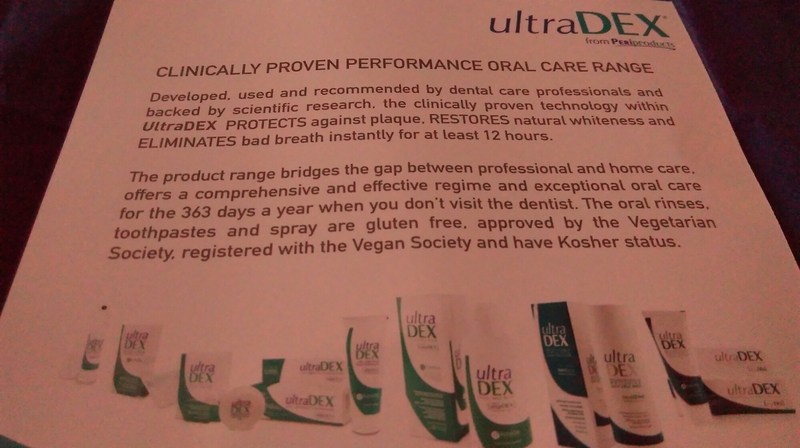 Ultradex actually has a complete oral care range, and I’d love to try it out. Why not check out their website? Many thanks to Ultradex; I’m sure this will become a handbag staple! Hope you’re having a great Thursday whatever you are up to!